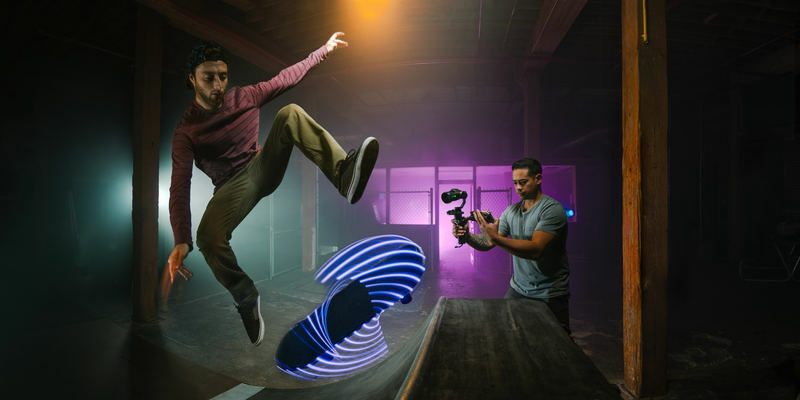 DJI, the world’s leading aerial imagery company, Sunday announced it will offer its best-in-class Micro Four-Thirds Zenmuse X5R camera for use with the Osmo, the imaging stabilization system that has transformed handheld photography and video. The new system, known as the Osmo RAW, uses the same technology DJI launched last month on the Inspire 1 RAW aerial to bring unmatched cinematic-quality stabilized video to the skies. The X5R will attach to the Osmo handle via an adaptor and store video on a removable 512GB solid-state drive. Gimbal motors will ensure image stability on three axes, with pan and tilt functions accessible either by using the Osmo’s thumb stick or through the DJI GO app. Users can also control the X5R’s focus and aperture inside the iOS or Android app or using an optional DJI Focus unit. The X5R is the world’s smallest, lossless 4K camera optimized for aerial imaging. It has 12.8 stops of dynamic range, an ISO range from 100 to 25,600, and a still-image resolution of 16 megapixels. The X5R features interchangeable lens options, with video bitrates averaging 1.7Gbps, with a maximum of 2.4Gbps. The X5R records CinemaDNG files and offers a new D-LOG mode with a broader array of color correction options in post production. Also available for the Osmo system is the Micro Four-Thirds X5 camera and gimbal, called the Osmo Pro. It uses the same adaptor as the X5R, providing superior, stabilized video and top-quality photo imagery. Pricing and availability of the Osmo Pro and Osmo RAW will be announced shortly. Osmo users with the Zenmuse X3 camera also will soon have complete stabilization capability with the launch of the Z-Axis. 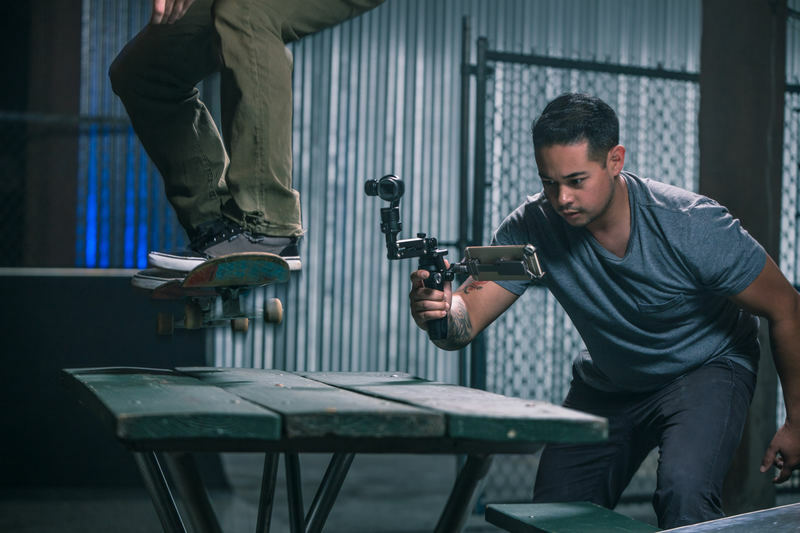 The $129 attachment, which mounts between the X3 camera and the Osmo handle provides full stabilization along the fourth (vertical) axis, giving it the same capabilities as much more expensive Steadicam rigs. The Z-Axis features a shock absorber, a tilt angle adjust button and a knob to control the spring tension needed on the fourth axis. DJI is also introducing two new power-management solutions for power users of the Osmo, including a higher-capacity battery that offers up to 96 minutes of shooting time at 4K resolution, an increase from up to 66 minutes using the standard Osmo battery. With the Osmo Pro, shooting time with the higher-capacity battery is up to 78 minutes, compared with up to 60 minutes with the original Osmo battery. Shooting time on the Osmo RAW is up to 37 minutes with the new, higher-capacity battery and up to 26 minutes with the original Osmo battery. Users can charge their batteries with the standard Osmo charger or use an optional intelligent four-battery charger that will fully charge both original and higher-capacity batteries simultaneously. Four higher-capacity Osmo batteries will charge fully in around 120 minutes. Using DJI’s new, extended battery means even more shooting time with the Osmo. 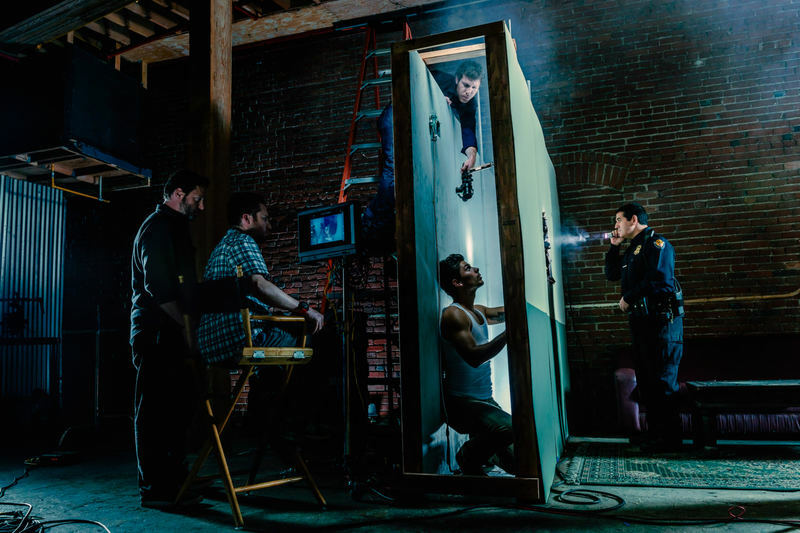 This solution is ideal for video journalists, photographers and filmmakers who spend hours in the field and filmmakers who require multiple takes of a scene or who set a rigorous full-day production schedule. The battery-shaped power adaptor fits into the Osmo handle and connects to either a dedicated DJI power charger or a DJI Intelligent Battery. 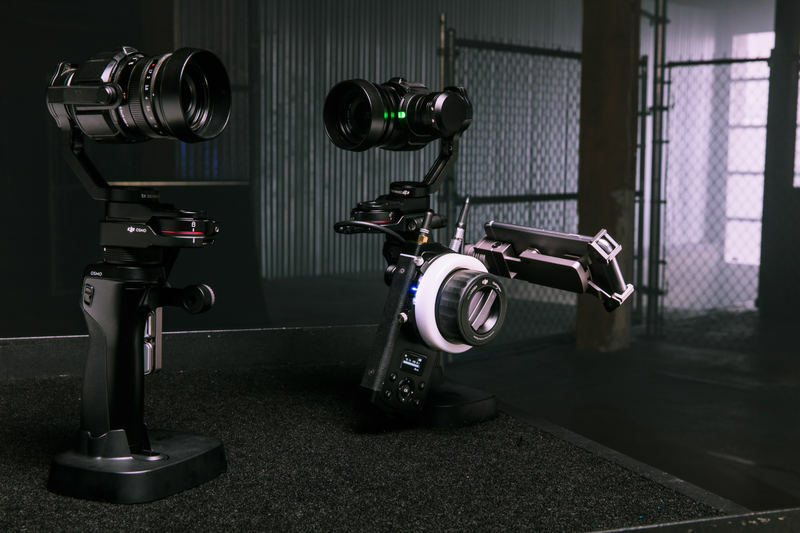 It supports five different DJI AC charger units, three models of DJI car chargers and six varieties of DJI drone and Ronin batteries that offer shooting times up to 14 hours on the Osmo, up to 11.7 hours on the Osmo Pro and just under five-and-a-half hours for the Osmo RAW. Shooting times will differ, depending on the type of battery used.